Painting from the Fine Art collection. 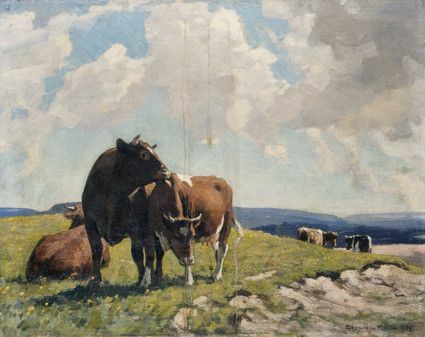 "Downland" by William Gunning King, showing cattle n a chalky hillside. 1939.